Kauai. The word alone invokes so many paradisiacal visions. What makes your Happy Place so magical? Kauai is that special place that fills the cracks and crevices in my heart. The people, bountiful rainbows and waterfalls are just out of this world. How can one tiny island in the middle of the biggest ocean have so much beauty? I can’t believe I get to call it home. Recently, Kauai experienced the worst rain event in over 100 years. What was it like being there during that mega-storm? It was c r a z y. People were calling it as bad as Hurricane Iniki. It had been raining continuously since about four months prior, and this certain sequence of rain just hit too hard. In that week alone, Kauai recorded 37 inches of rain. California might get that in a decade (only half kidding). Lightning sparked several sinkholes. My house shook nonstop. The landslides took over the roads, which eventually fell to the sea. Bison and buffalo were displaced. Houses sunk into the rapids. Trees, cars, tractors, furniture… you name it, so much was engulfed by Mother Nature. The aftermath. A beachside home sunken into the shoreline. What were those first days and nights like after the melee? It was weird. Stagnant. People were going crazy. Folks either couldn’t leave their homes or lost their homes entirely. It took a couple days for the flood water to recede. To get around, people were using jet skis and boats instead of cars. Families were trapped. The bridge into Hanalei was closed for days, and new waterfalls appeared in people’s backyards. The ocean swallowed all the sewage, debris and miscellaneous items that were swept away. The road to Hanalei pier sunk completely. Now, two rivers run by it. Beaches are now cut in half because the rivers turned into lakes. It was heavy to see my home in such disarray. We are still in relief and recovery mode. Hundreds of people have been evacuated from flood-stricken areas of the Hawaiian island of Kauai after severe rain struck over the weekend. The amount of instant help and support Kauai received was amazing. We declared a state of emergency, and the military and National Guard came to our aide. Helicopters delivered goods to help families. Everyone joined forces to volunteer and help those in need. Together as one. I felt so grateful to be part of such a loving community. People donated food, gas, clothes. Boat tour companies were shuttling folks in and out, since the roads were underwater. The Paniolos (cowboys/women) rounded up the buffalo to save them from drowning. Everyone seemed to drop their obligations to lend hands. The damage is going to be insanely expensive. Have there been any individuals or groups who’ve gone above and beyond? Laird Hamilton saved so many people. He even saved some bison, too. Kauai lifeguards and firemen are working overtime, even when their own places had been destroyed. A lot of the restaurants donated tons of free food, and nonprofits like Malama Kauai kept people informed and organized drop-offs and donation places. So many volunteers. Wow, yeah—the power of social media is incredible. Everyone has used their voice to spread the word. That domino effect really brought in extra support, and quickly. We made national news and were featured on National Geographic. It was pretty awesome to see social being used for good—for needed relief and support. Made me smile to see everyone come together. 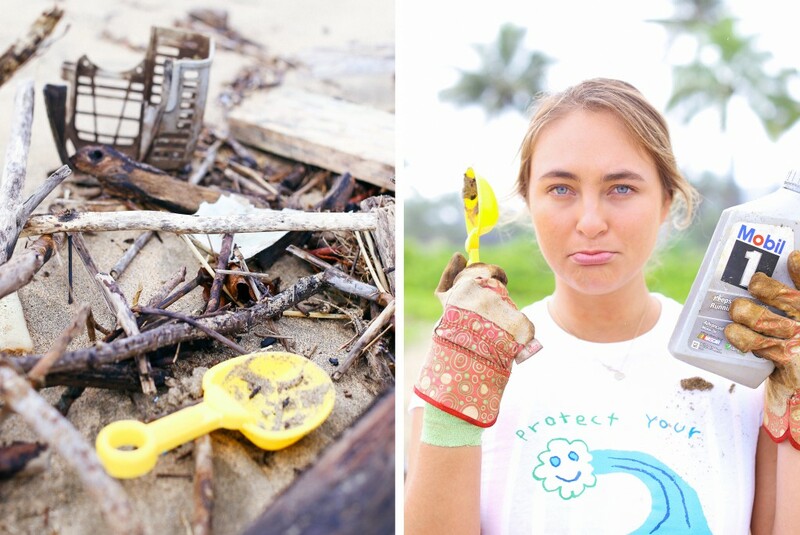 Recently our friends at The Surfrider Foundation and the WSL joined forces to carry out a series of simultaneous beach cleanups. How’d that go? Were you guys able to snag a lot of trash and debris? All I can say is thank you, thank you, thank you. It was touching to see everyone scattered on the beaches doing their part. After the flood, the shoreline was in shambles and the water became highly contaminated. 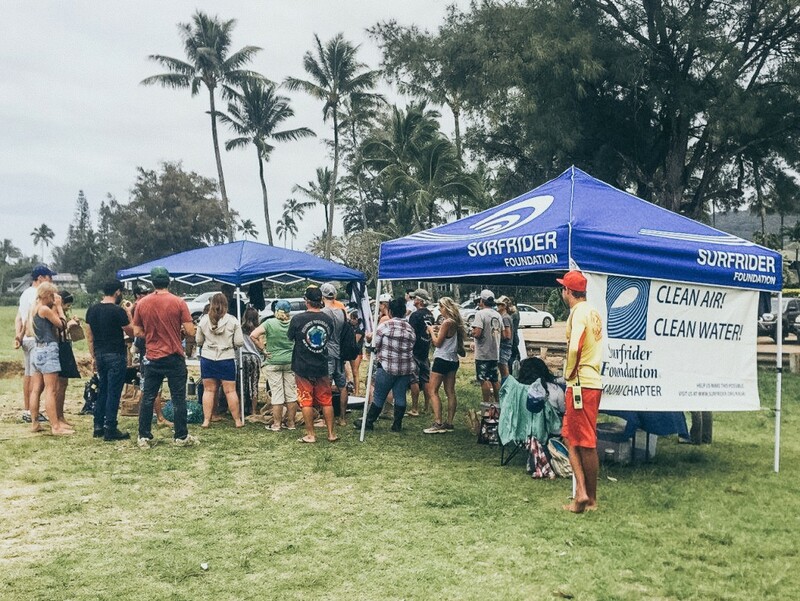 The SURFRIDER cleanup crews hauled away 1,400lbs of trash! My dad brought his wheelbarrow and chainsaw to cut up debris—huge tree trunks and limbs littered the coast. 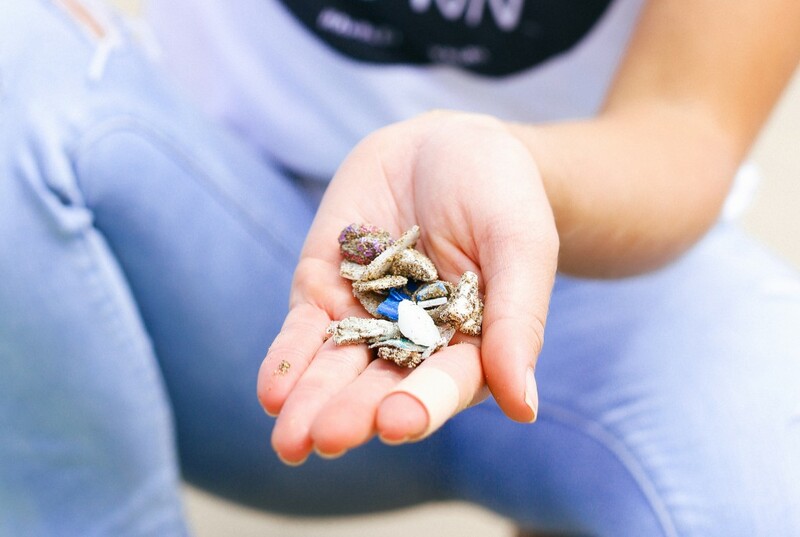 We accumulated a mind-blowing amount of microplastics in the process. There is still plenty to be done. New rain will flush out more crap. It’s only a matter of time… but, for now, things are clean. What was the most commonly found item? Most surprising? Most common: Microplastics. Pipes. Most surprising: Broken laundry baskets. What else have you been doing to get involved? I’ve been volunteering at the local preschool in Hanalei. It got destroyed, and they have to completely remodel. So my friend and I went down to help clean the playground and the gardens. My family donated lots of water and propane, as well. I also reached out to my sponsors to get involved, and it was so awesome to see their reaction and really helping out. Your Happy Place is a lot of other folks’ Happy Place, too. Nearly 1. 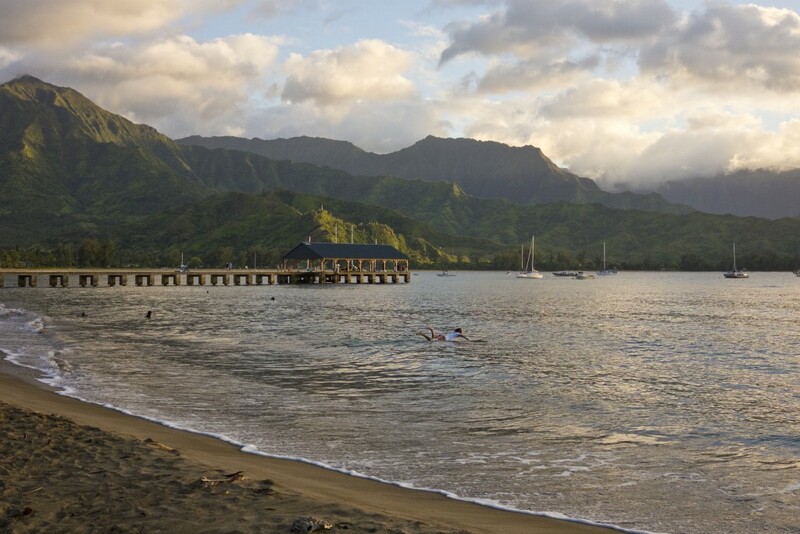 5million humans visit Kauai every year. How do you think this natural disaster will affect the local economy? So far, the damage has deterred tourists. 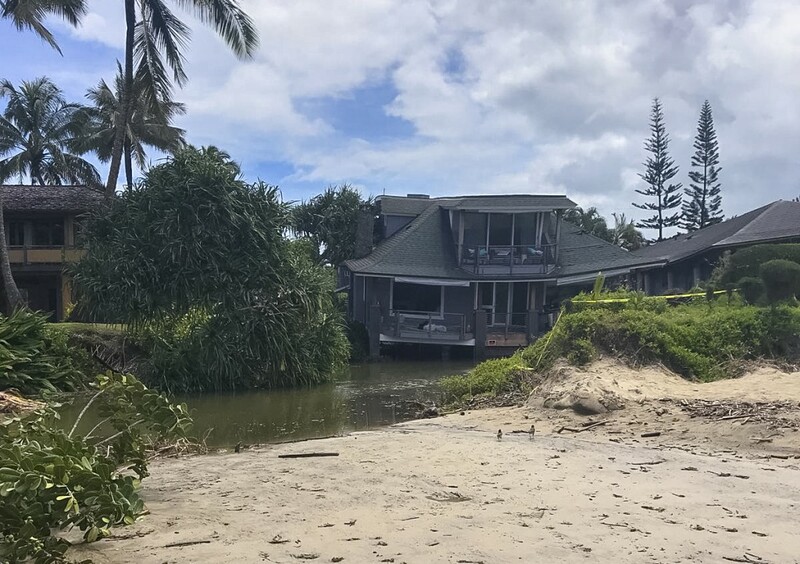 The vacation rentals in Haena won’t be accessible for a while. It’ll be a rough road (literally), since tourism is this area’s main economy. People are slowly coming back into Hanalei. When it’s all back up and running, things will go back to normal. This flood was really cleansing in a weird way. It really made people rethink their lifestyles, their views on our island, and its special resources. We are more appreciative now. No rain, no rainbows… right? What can people outside of Kauai do to help relief efforts and know their dollars are directly funding issues on the ground? There is a main GoFundMe page for easy personal contributions. There are also a few nonprofits here that have really stepped up. Malama Kauai has been doing wonders. Thank you to those who have donated or contributed in some way. How are you still finding reasons to smile? I am so grateful to be here. It makes my heart smile. Sure, the rain has made people depressed, but when the sun does shine, it shines so much brighter. I am thankful to be from an island of such love and beauty. Kauai local Kiana Fores is 23 years old. 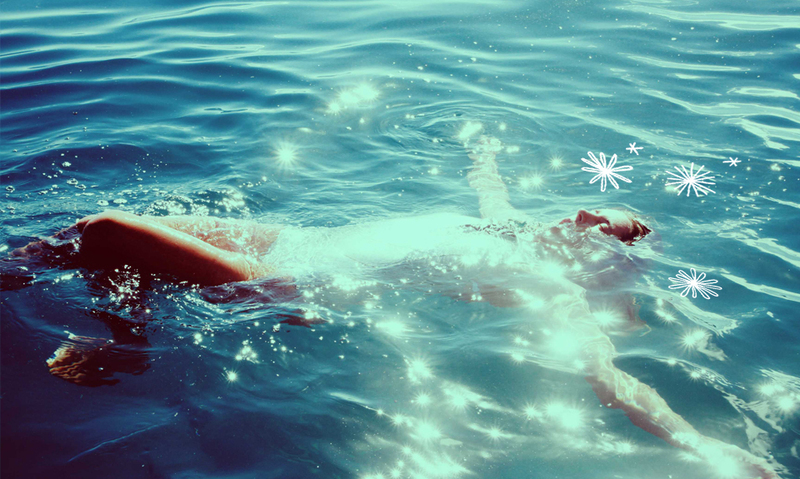 A secret child of the moon, she savors interacting with oceanic environments, sliding and gliding tides. Her perfect day consists of an early surf, “brunch with the babes,” and cruisin’ the coast jamming Oldies. 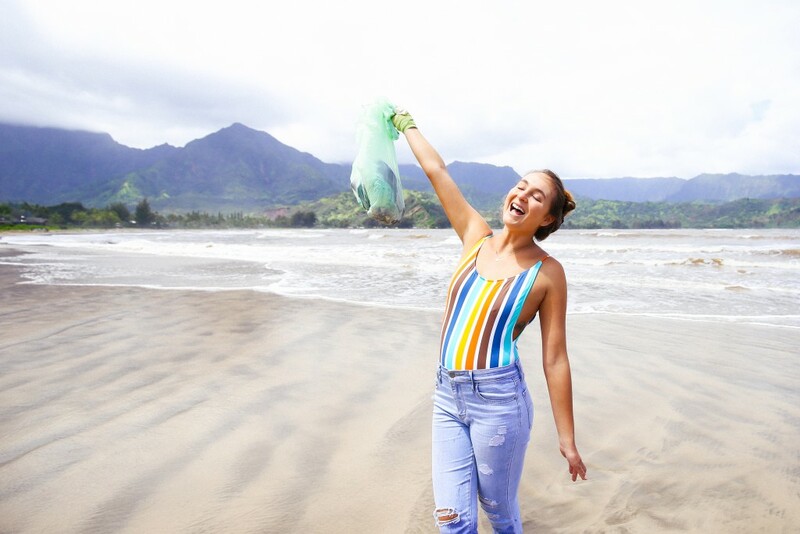 A recent grad from Point Loma Nazarene University, Kiana took nature-lovin’ next level in college, focusing heavily on Sustainability. Oh! And she hates dirty sponges and the way they smell. Follow her on Instagram: @KIANA4S. About SURFRIDER: The Surfrider Foundation is a nonprofit, grassroots organization dedicated to the protection and enjoyment of our world’s oceans, waves and beaches through a powerful network. Founded in 1984 by a handful of visionary surfers in Malibu, California, the Surfrider Foundation now maintains over 500,000 supporters, activists and members, with more than 80 volunteer-led chapters and 70 clubs in the U.S., and more than 400 victories protecting our coasts. 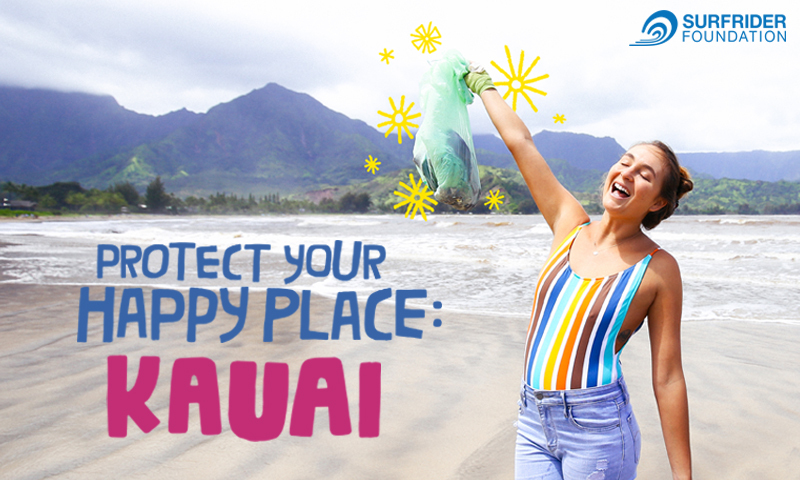 Learn more at surfrider.org. 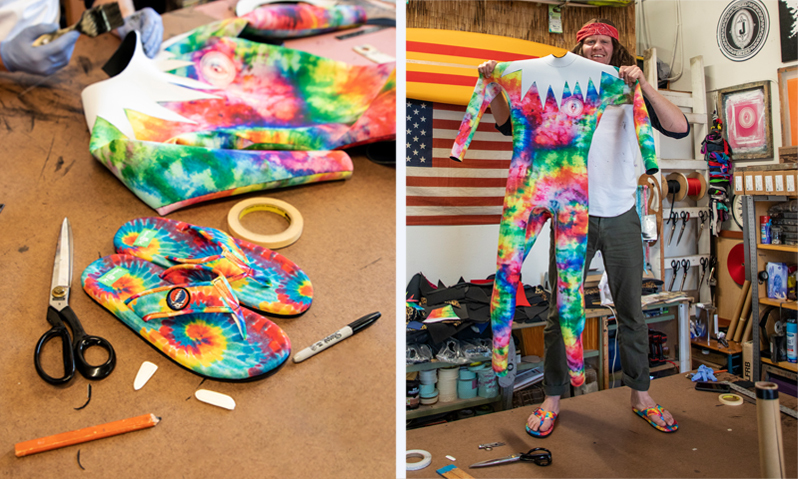 To learn more about Sanuk’s partnership with SURFRIDER, click right here!